This activity is designed to do a number of things. Topically, the exercise provides the students with the chance to examine the data from which the diversity curve of marine invertebrates has been constructed. The trends that the students notice both in the overall diversity and which fossil groups are making it up segue into the organismal half of the course. 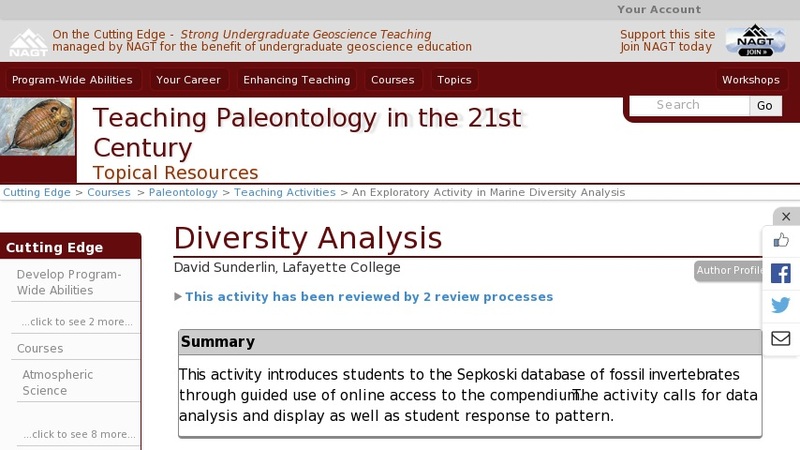 Analytically, the exercise gives students practice with online databases, spreadsheet analysis and display, and hypothesis testing as they compare the diversity histories of different groups.